This is an excerpt from an interesting article on the Wired Website. Sensors, health care and big data… And, yes, this arm could be mine…. NEW YORK CITY — Big Data is all around us. It’s in the way we shop, do our finances, and tweet. What does Big Data even mean, you ask? To some, it’s more information than your laptop can handle. Others define it as melding data from different sources and seeing what patterns emerge. “I’m a photographer, so that didn’t mean much to me,” said Rick Smolan Oct. 15 here at the inaugural Wired Health Conference in New York. And that nervous system of data is developing at tremendous rates thanks to growth factors like social media, gadgets that record how much electricity each appliance in your house eats up, consumer genomics, and personal trackers like Fitbit, Zeo or the Nike fuel bracelet (a favorite among Wired staff, according to executive editor Thomas Goetz). “The challenge is…how do you make it something [people] care about?” asked Smolan. As thepopularity of Instagram indicates, often, the answer is pictures. So through the Human Face of Big Data, Smolan aims to morph abstract data points into something visceral, emotional and tangible. The crowd-sourced venture capitalizes “on humanity’s new ability to collect, analyze, triangulate and visualize vast amounts of data, in real time,” according to the project’s website. And as self-quantifiers Kevin Kelly and Gary Wolf mentioned in a later session at the conference, people are measuring everything from their sleeping patterns to how fast their toenails grow. They’re using devices as varied as smartphones, headbands, cars that track their own health and the health of their driver, and carpets that monitor a person’s balance and gait. 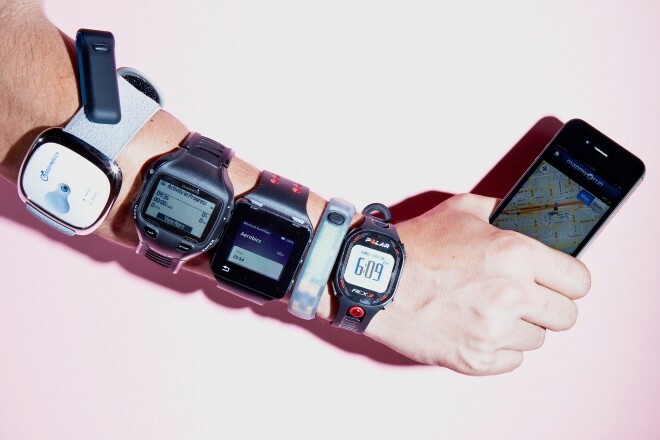 These kinds of personal tracking devices begin to address the “big challenge [of] expanding the scope of big data in healthcare to encompass an individual’s environment outside the walls of the clinic or hospital,” wrote Joel Dudley, director of biomedical informatics at Mount Sinai School of Medicine in New York, in an email to Wired. They also give ordinary people the opportunity to craft scientific and health-related questions, not just provide answers, said Quantified Self Co-Founder Gary Wolf. These data-hungry gadgets also harness “the power of connecting people with their own data and getting them to see how that could change their lives,” said Goetz.